Alright, who doesn't want to make more money ? The overall goal of the forum is to make money, right? 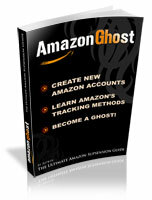 We're selling on large platforms eBay/Amazon/Etsy to make money. There are other ways to make money: Investing, Real Estate, Starting Your own Business (stand-alone from eBay/Amazon). Maybe you have an idea to sell subscription based cookies? Heck.. I LOVE cookies. Where do I sign-up? In this section discuss making money online. Maybe you sell your left over items on Garage Sale Facebook Groups.. MAYBE that's where you find items to flip on eBay/Amazon. Show me what you got.. start a new thread with your money making discussion. Last edited by aspkin; 01-11-2017 at 10:28 AM.